Hey hey y'all! Guess what! I'm in Germany! Yaaaay! I'm here until the first week of September, with no firm plans other than to enjoy the warm weather with mah German family, to drink All Of The Beer and to eat All Of The Bread. 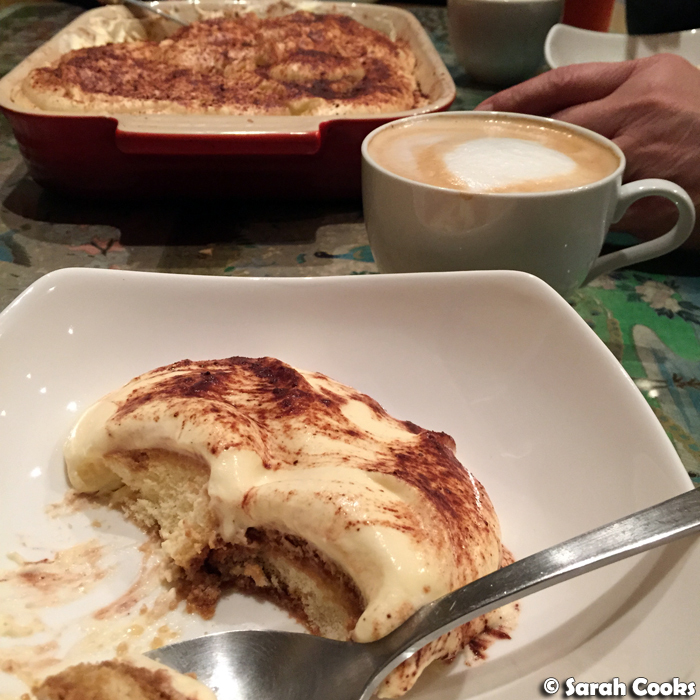 I'll blog the Germany holiday separately, so I thought I'd do a mini "Unblogged Files", just to cover my Melbourne foodie goodness that happened in the first week of August before we flew out. Let's roll! It was my buddy Surya's birthday this month, and we celebrated with a decadent brunch at Hardware Societe (120 Hardware St, Melbourne, VIC 3000). I'll blog it in full, but for now enjoy this picture of the delicious brioche french toast, with truffled bavarois, poached quince & crunchy caramelised walnut. Ridiculous! Surya is a bit awesome like me, and spread his birthday celebrations out over a few different events! Another night we went to Suda (550 Lonsdale Street, Melbourne VIC 3000), where we had awesome Korean fusion food. 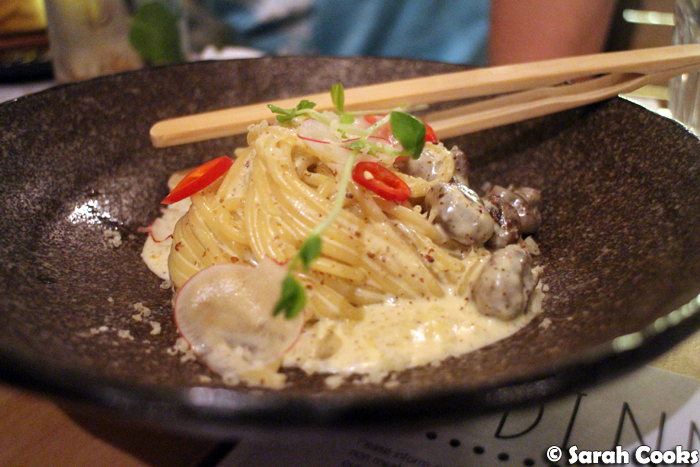 I really liked the creamy perilla seed spaghetti with mushrooms in a creamy sauce. Blogpost to come. ...or my beloved açaí bowls. 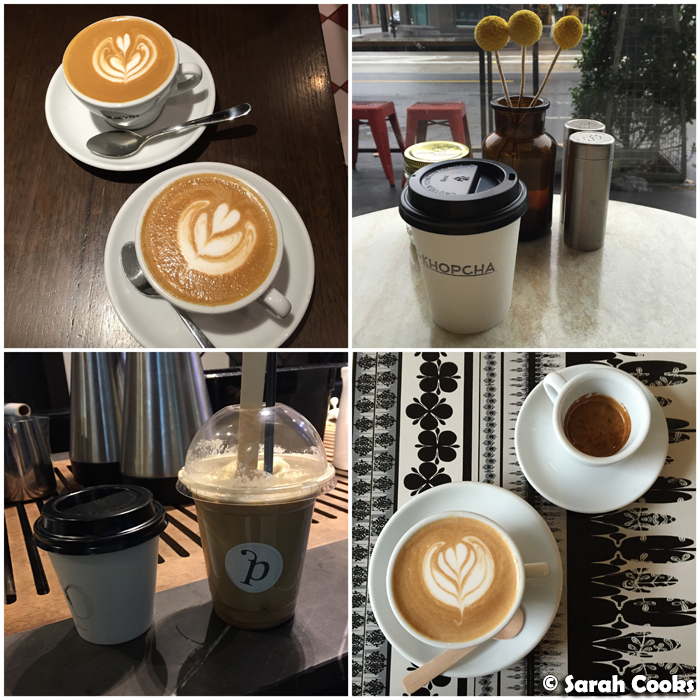 The coffee in Germany is nicht so gut, so I tried to have as much great Melbourne coffee as I could the week before we left. 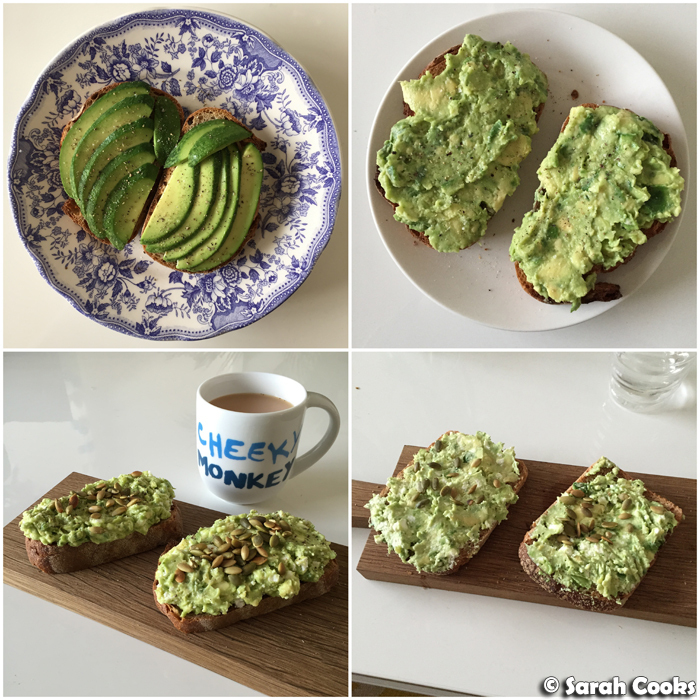 Mainly at my usual, Plantation (Shop 253, Level 2, Melbourne Central, 300 La Trobe Street, Melbourne VIC 3000), but also at Khopcha (Shop 3, 53-61 Toorak Road South Yarra, VIC 3141) when I was in the area. On a similar note, we tried to fit in as much Asian food as possible the week before we left! 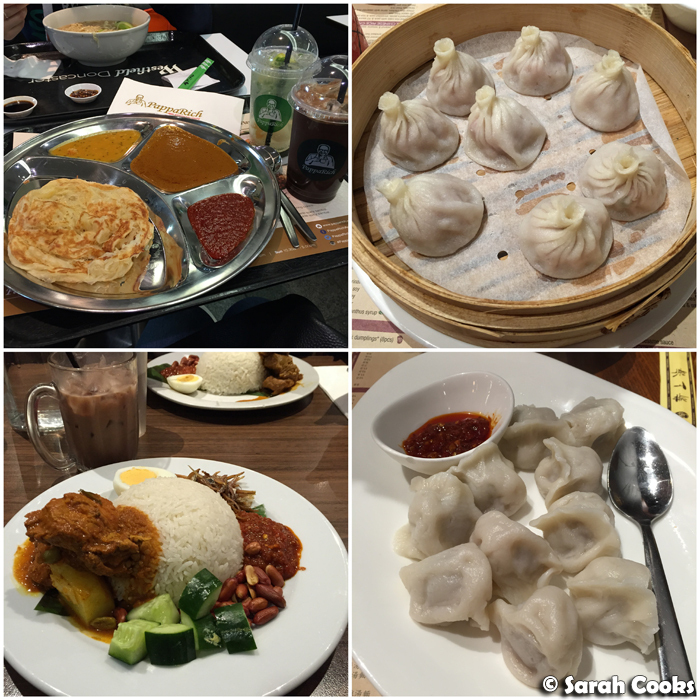 There was fab roti canai and milo ais at Pappa Rich (Doncaster Westfield, 540 Doncaster Rd, Doncaster VIC 3108), and equally fab nasi lemak and milo ais at Mamak (366 Lonsdale St, Melbourne VIC 3000). And DUMPLINGS at New Shanghai in Emporium. 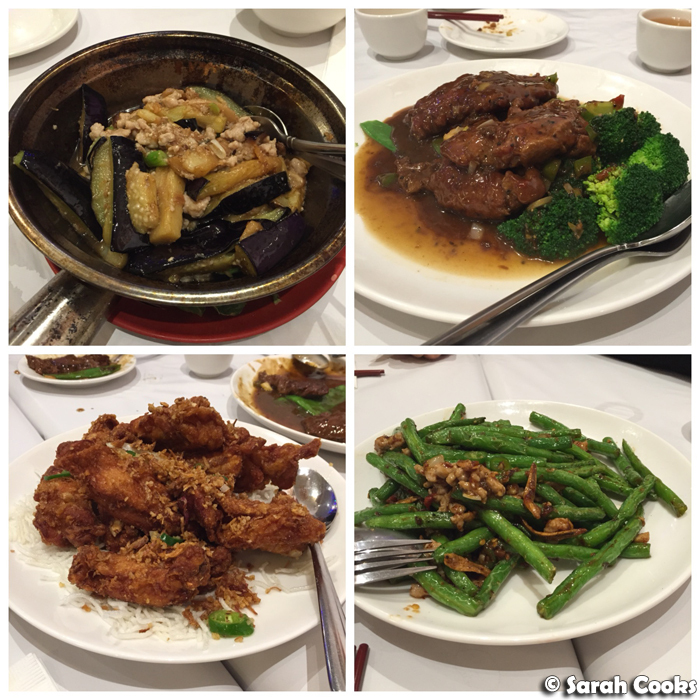 One night we tried out the new Best Food Gallery (599 Station St, Box Hill S, VIC 3128). This cheep and cheerful place was one of our favourites, but they're under new management now. I'm pleased to say the food is still good! They've gone a bit fancy, with white tablecloths, and their salt and chilli deep-fried chicken ribs are amazing! 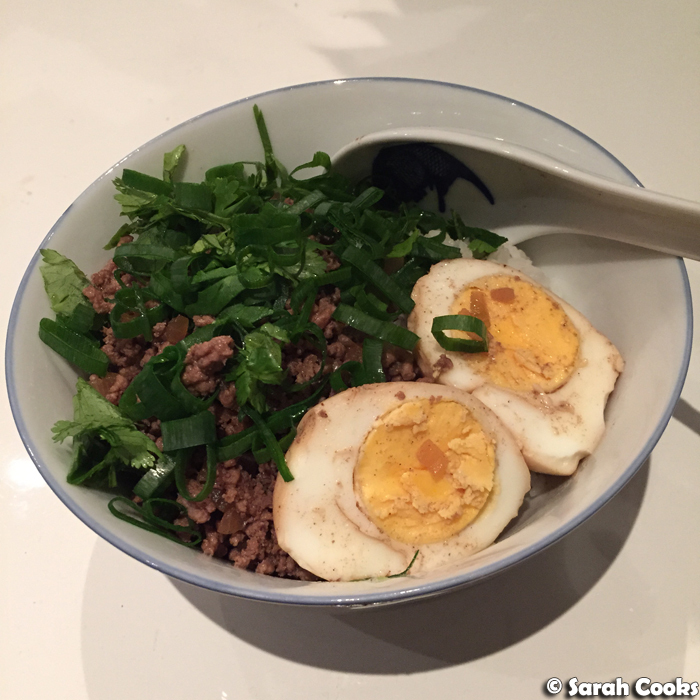 ... and that old favourite, Taiwanese meat sauce on rice with soy eggs. 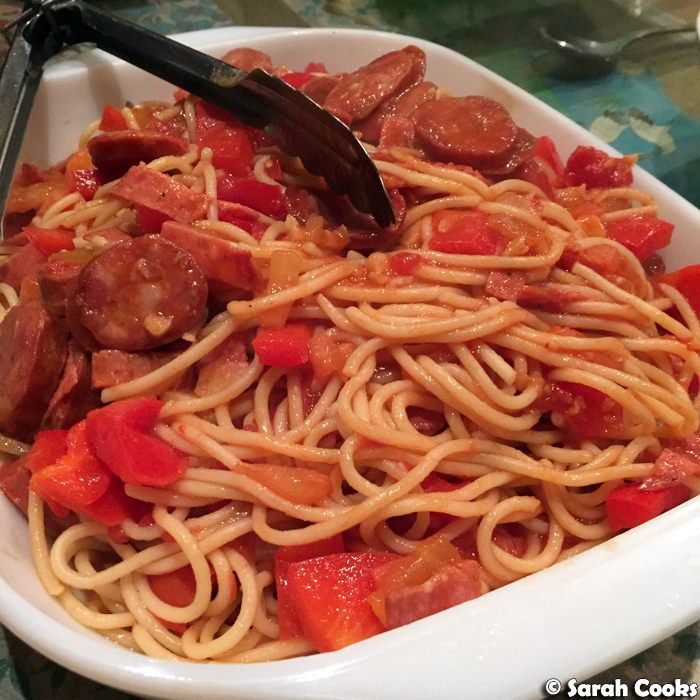 We had dinner at my folks' house one night - my dad made an awesome spaghetti amatriciana (chorizo, tomatoes, salami), and an even more awesome tiramisu for dessert. Yay! 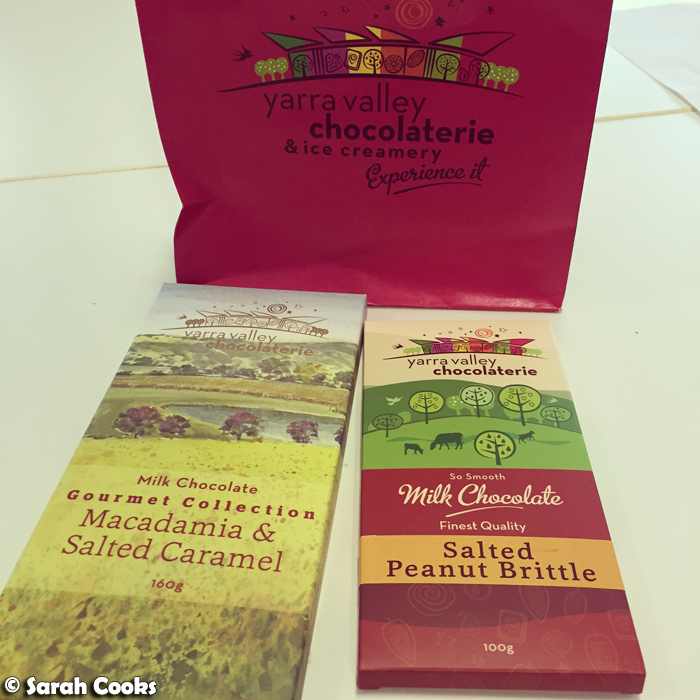 My friend Kimba gave me these chocolates from the Yarra Valley Chocolaterie - the milk chocolate with macadamia and salted caramel was good, but the milk chocolate with salted peanut brittle was incredible! Lots of sweet crunchy salty peanut brittle nuggets in the smooth milk chocolate. Yum. 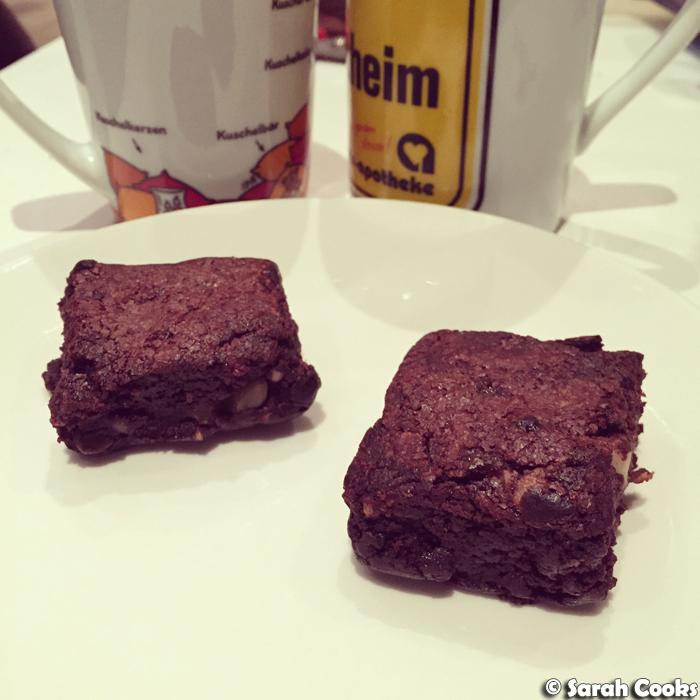 My friend Duncan made me these lovely chocolate brownies - super moist and rich, with dried apricots, walnuts and pumpkin seeds. My buddy Jimbo and I did a Short Stop break! (12 Sutherland Street Melbourne, VIC 3000). 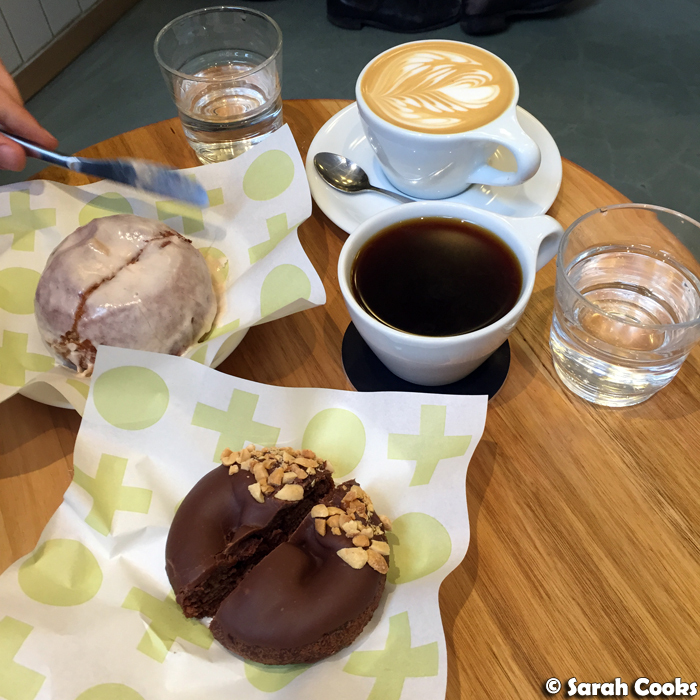 Ostensibly this was a pre-holiday catch-up, but it was also so we could try the new rhubarb cheesecake donut. Amazing! (We also got my favourite: the peanut butter caramel and chocolate donut). And finally, on my last day at work before the holiday, I snuck in an açaí bowl brekky at Green Press (7/525 Little Collins St, Melbourne, VIC 3000). 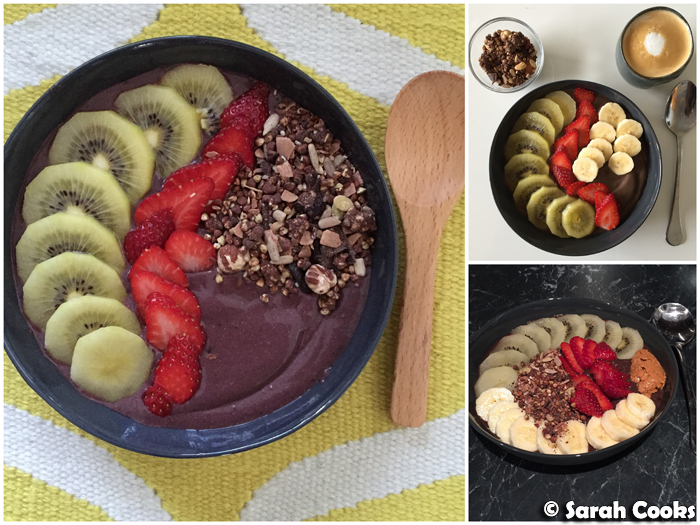 I love these guys and have been meaning to blog them for ages, but I just wanted to try one of their açaí bowls before I did! So yay, blogpost to come. 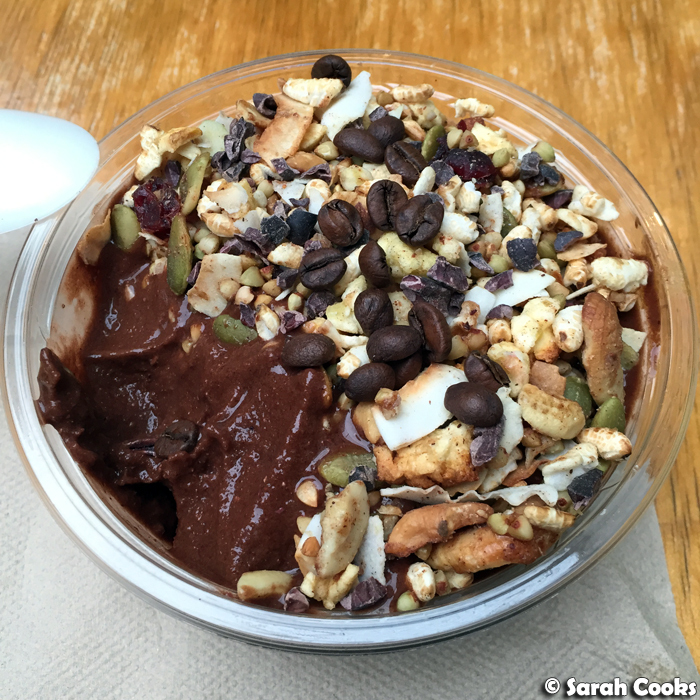 This was their super secret "Coffee Snob" açaí bowl (not on the menu; you need to sneakily ask for it), which has a double shot of cold pressed coffee and chocolate too. What a way to start the morning! And that was the first week of August! Hooray! 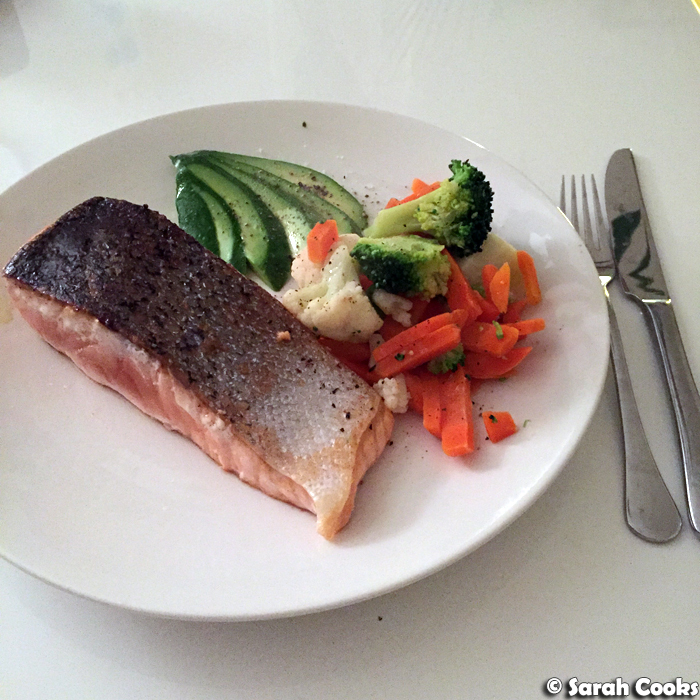 Follow my German foodie adventures on the Sarah Cooks Facebook page, or on Instagram! Oh wow enjoy Germany! So many delicious things and I can't wait to see what your unblogged files are for your time in Germany (I've never been!). 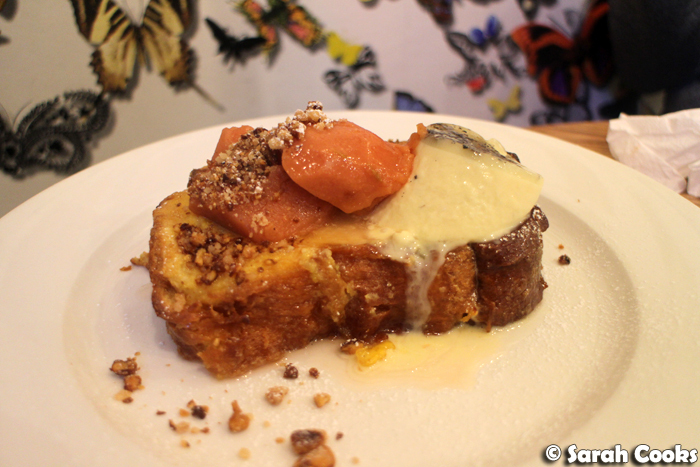 That brioche French toast though! Have popped that place onto our anniversary hit list for October, woohooo! So impressive that you're blogging while on holiday! Am deeply envious of everything you are eating while over there!